More and more audio interfaces are hitting the market that are capable of connecting directly to an iOS device or a computer. 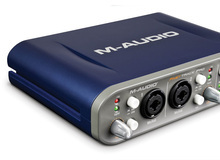 PreSonus recently released two such units, the AudioBox iTwo and AudioBox iOne. We’ll focus here on the iTwo, a 2x2 interface sporting two mic preamps.